What bike do you ride? Are you a driver or a rider? Which motorcycle jacket do you wear when you ride? Those are questions I’m often asked. 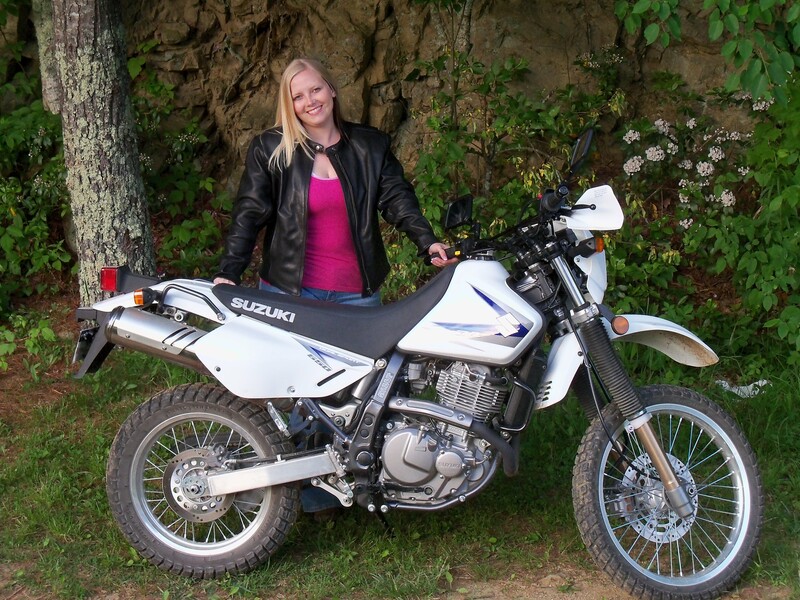 Sadly, I have to admit that I have never even been on a motorcycle. I’ve been in the motorcycle leather business for almost 10 years and I love to hear people talk about how riding makes them feel free and I love to see two bikers pass each other on the road and give the “biker wave”. It’s not that I was scared, mind you. I grew up riding ATVs and horses but the only thing with two wheels I encountered was my trusty ole Huffy Bicycle. And OH how I used to keep the dirt roads hot with it, too! But, that’s a different story. Anyway, I never dated a biker or had biker friends and none of my close family had a motorcycle. I’ve been offered rides by customers in the store (even an all expense paid trip to California!) but for some reason I just kept putting it off. I guess I wanted my first time to be special. 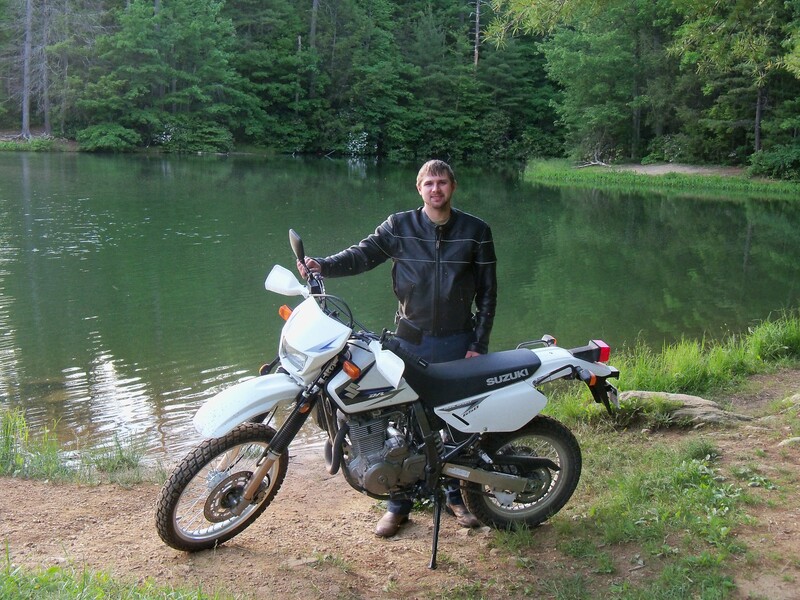 Ever since I met my husband (who loves anything with gears, gaskets or grease), he talked about having his dirt bike when he was younger and all the fun that he had. He wanted one. Bad. 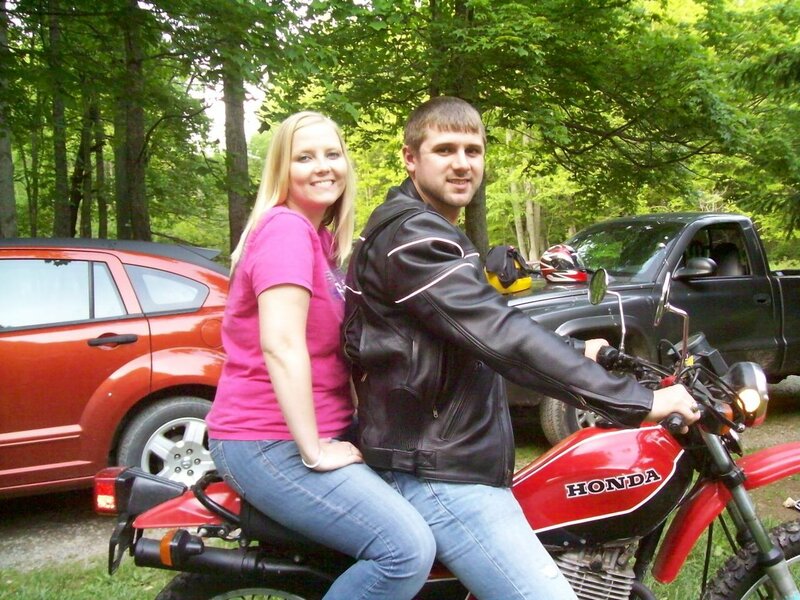 His dad, Darrell, has been re-modeling his 1981 Honda XL 500 and recently got it ready to ride. Chris came home one evening super excited because he rode it and he said, “That bikes sounds awesome!”. Uh-oh. Now he’s going to want one even more. Geez. So one day we were sitting at his parent’s house and the Honda started calling Chris’s name. I gave in and said, “Ok, take me for a ride.” I wasn’t nervous but I wasn’t expecting to feel what I felt. I liked, no loved the breeze. The feeling of oh no, there’s no seat belt kinda freaked me out a bit but I liked it. The first time he took me around a curve I remember thinking WHOA that was crazy. Don’t look down! I truly enjoyed it. I was kinda sad when he pulled back into the driveway. He said, “So, did you like it? But I knew I was hooked. And I knew it wouldn’t be long before I gave in, either. A month later, Chris and I went to buy his new bike. 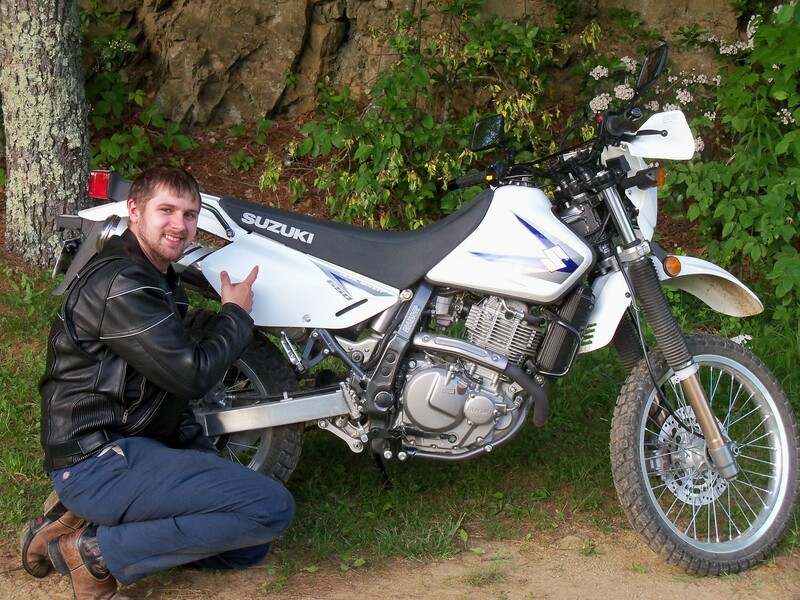 He chose a Suzuki DR 650 and it’s a beaut. He calls it “Phantom”. We’re on it all the time. OH and the first time we did the biker wave, I felt euphoric! Yay… I’m in the club, now! He wears the Vented Reflector Jacket and I wear the Women’s Summer Riding Jacket and the Modular Flip Face Helmet. He is just a little proud. So if you pass the “Phantom” on the road. It’s Chris and Chippy. Keep the Rubber Side Down and Your Knees In the Breeze!